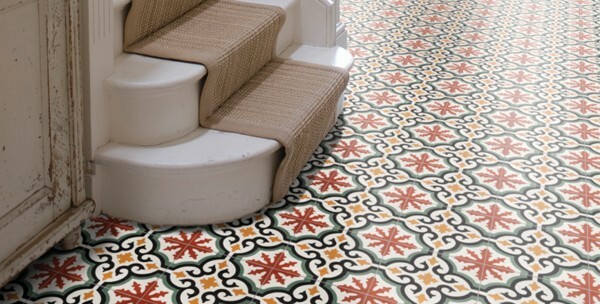 In the Victorian era, high quality encaustic tiles were reserved for the wealthy upper class, but were in high demand from the middle class, who wanted to mimic aristocratic style. Despite being over 100 years old, some of the tiles are still around today, however not without cracks and need of repair. The tiles can be restored to recreate a luxury feel throughout your home, although this can be a pricey and labour intensive. Mr Herbert Minton, one of the great entrepreneurs of the 1800's, helped to bring these stunning tiles to life. Due to his family background in pottery, Herbert combined his knowledge with new methods of production to create colourful, patterned tiles, inspired by the upper classes, monasteries and medieval churches, known as encaustic tiles. Soon, the Minton tiles were being laid in the Houses of Parliament and were in demand by every upper-class household. Fixing or replacing real Victorian tiles is a costly affair, the high-quality materials will need a full restoration and are likely be quite damaged due to their age, you will need a specialist to do this. High quality replicas are available from tile company, The Olde English, their geometric tile collection recreates a period look in your home without the hefty cost. They are extremely hard-wearing and easier to maintain, so you won't need to scrub, wax or buff them like they had to do back in the 19th century!